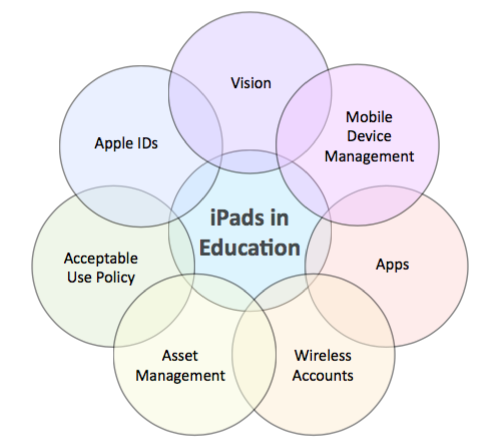 There are many things to consider when investing in iPads for education. Setting up and managing iPads for use in education is not always a straightforward process. Time needs to be set aside for initial setup and the ongoing management of these devices as this is the sole responsibility of the purchasing establishment. The iPad is designed to be used and managed by a single user, therefore a shared model must be carefully considered prior to purchase, and will require a high level of support and maintenance.